A silo is a great place to store grain. It’s not a great place to keep a dog. 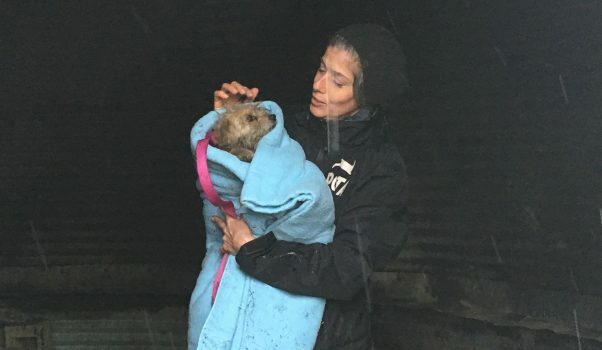 But that was the only shelter available to Charley when she was abandoned at a rural North Carolina property in the rain and freezing cold. 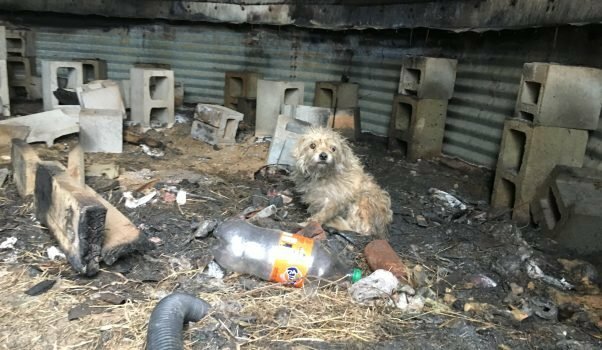 According to neighbors, no one had been seen at the property for weeks, and no one answered PETA’s notes left at the home for two days in a row. 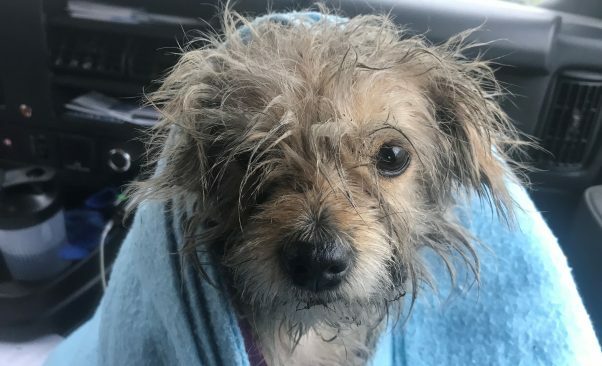 So the local sheriff’s department gave us permission to rescue the tiny terrier mix, who was shivering, covered with mats, and limping badly. 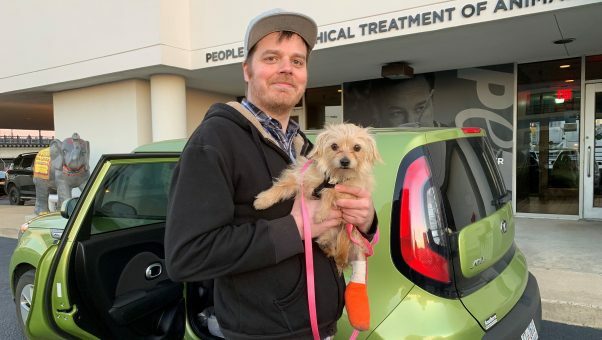 PETA fieldworkers worked for two days to gain the frightened little dog’s trust, plying her with treats before gently scooping her up in a blanket. 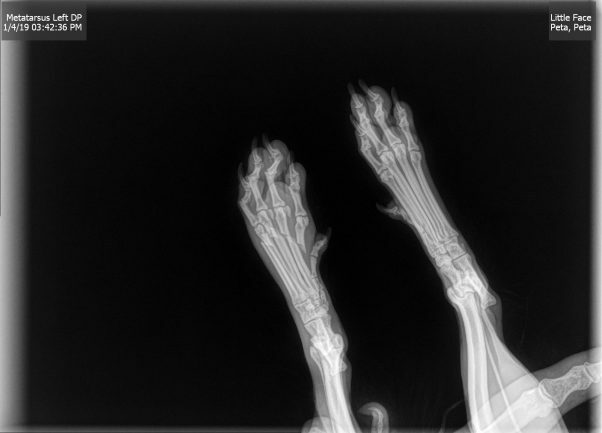 They rushed Charley to a veterinarian, where X-rays revealed the cause of her painful limp: four mangled toes. We have no way of knowing who or what broke Charley’s toes, but we do know she must have been in excruciating pain. The vet carefully cut away the pup’s mats and splinted her foot. With pain medication and a bath, she was like a new dog! 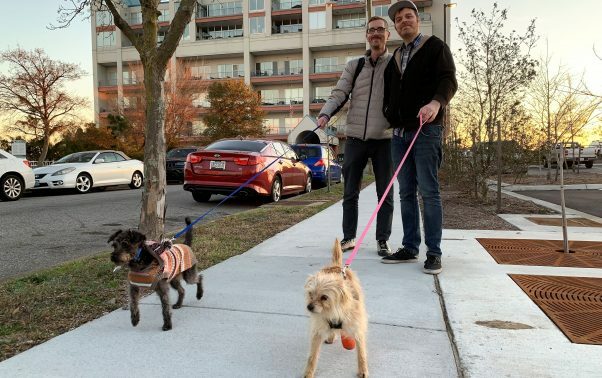 One week after she was rescued, Charley really hit the jackpot: She was adopted by PETA staffer Tanner and his husband, Jeremy, who also have another PETA rescued animal named Fritz. It was hard to tell who was more excited to have a new sibling—Charley or Fritz! 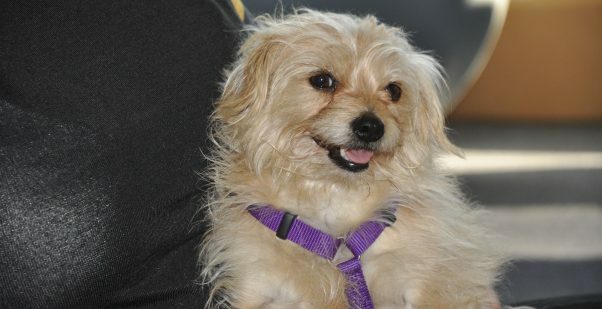 Help PETA rescue more dogs like Charley by donating to our Investigations & Rescue Fund.